The Hyatt Regency Tampa, located in downtown, was recently recognized as Tampa&apos;s first downtown hotel to receive the Two Palm designation. 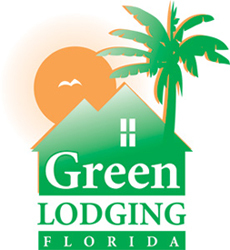 The Florida Department of Environmental Protection&apos;s Green Lodging Program awards this designation to hotels that have maintained the green practices of the program for 12 consecutive months. The Hyatt Regency has seen amazing results since officially turning Green in 2008. Specifically, the property has achieved a 12% decrease in electricity, 10% decrease in gas and 7.4% decrease in water consumption compared to last year. Read my Green hotel blog to see other hotel&apos;s who have received the Green Lodging program approval in Tampa. Tampa Bay is dedicated to conserving natural resources and preventing pollution, and we are proud that so many of our hotels have made the commitment to protect our environment. Keep up the good work!